"This is What the Future Looked Like" | Sam Green | Sam Green - Sam Green is a documentary filmmaker. He’s made many movies including most recently <i>A Thousand Thoughts</i>, a live cinematic collaboration with the Kronos Quartet. Previous “live documentaries” include <i>The Measure of All Things</i> and <i>The Love Song of R. Buckminster Fuller</i>, featuring the indie rock band Yo La Tengo. Sam’s documentary <i>The Weather Underground</i> was nominated for an Academy Award and included in the 2004 Whitney Biennial. I made a new VR piece with Gary Hustwit (Helvetica, Urbanized) about Buckminster Fuller and his signature creation – the geodesic dome. 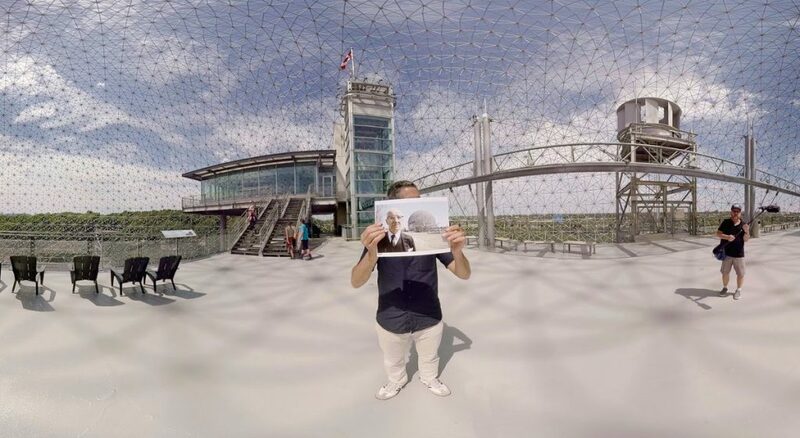 We shot “This is What the Future Looked Like” at some of the great extant domes in North America, including the Montreal Expo 67 dome and the dome that Fuller built and lived in in Carbondale, Illinois. The piece is a meditation on design, the utopian impulse, and the virtual reality form itself. Original music by Yo La Tengo and additional music by Todd Griffin. “This is What the Future Looked Like” premiered at the True/False Film Fest in March and will screen all over the place this year.